We released the Prott Viewer for Android last year in December and we are happy to announce that the Prott Viewer for iOS is now available as well! If you've received a preview URL and want to check out a Prott prototype, you can now quickly view it without the need to create an account or having to download the prototype to your home screen. All you need to do is follow the three steps below to get viewing! 1. Download and open Prott Viewer for iOS. 2. Tap on the preview URL* of the prototype. 3. 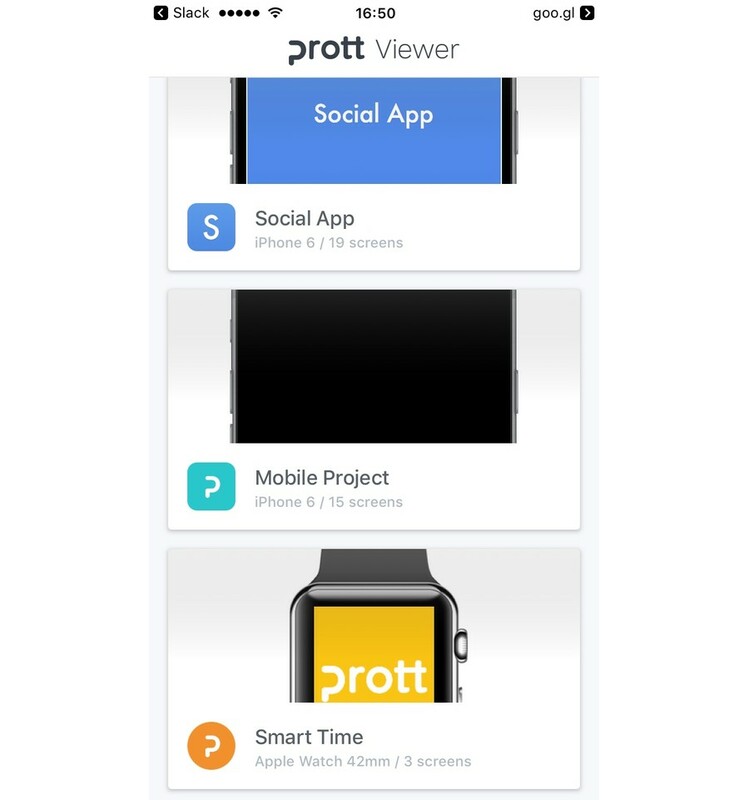 The Prott Viewer app will open. Tap the play button to begin viewing! * If you're a viewer of the prototype but don't have the preview URL link, contact the individual who wants to share their project with you. 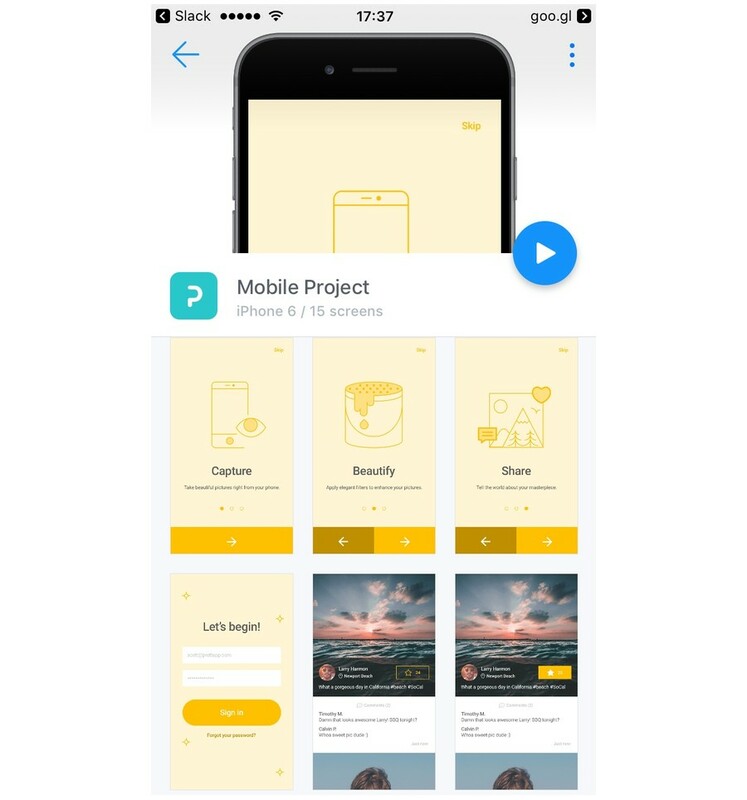 * If you are an individual who would like to share a prototype but don't know where to find the preview URL, get it from your Prott for Web account or from the Prott for iOS app. Just like the Android Viewer app, you can store as many prototypes as you want with the iOS Viewer app. Keep all of the prototypes organized, in one place, and make your home screen clutter free. You'll no longer need to worry about being connected to the Internet to view prototypes. 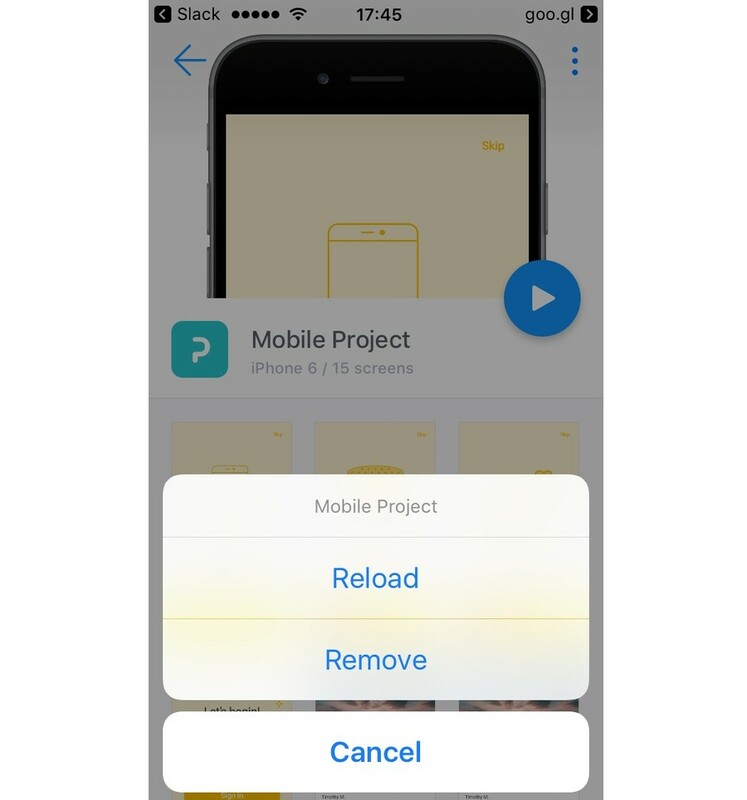 Once you've stored the prototypes in the app, you'll be able to view them offline meaning easy access, anytime, anywhere. Note: If you prefer continuing to download prototypes to your home screen this option will still be available. However, we recommend you give the Prott Viewer app a go! We would love to hear your thoughts and feedback, feel free to drop us a line by sending us an email or reaching out via chat or on twitter.